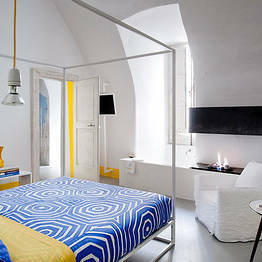 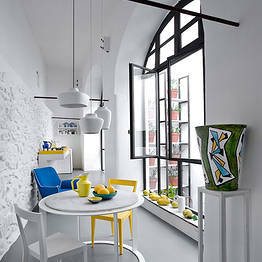 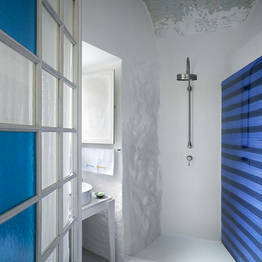 Ancient island architecture, award winning Italian interior design and Mediterranean hospitality. 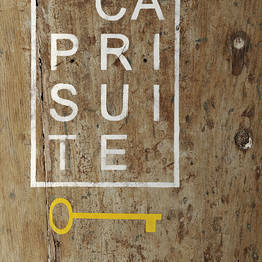 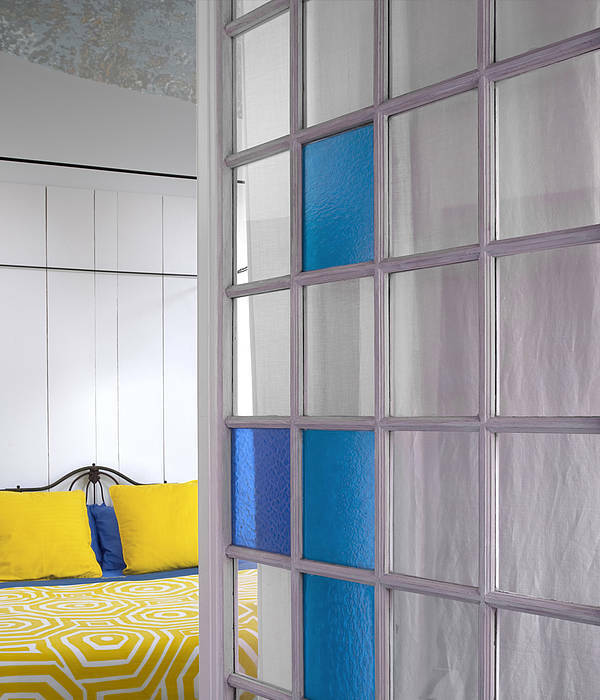 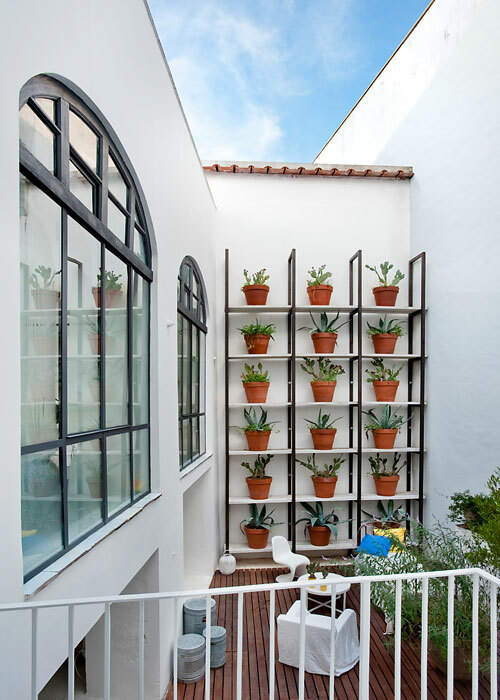 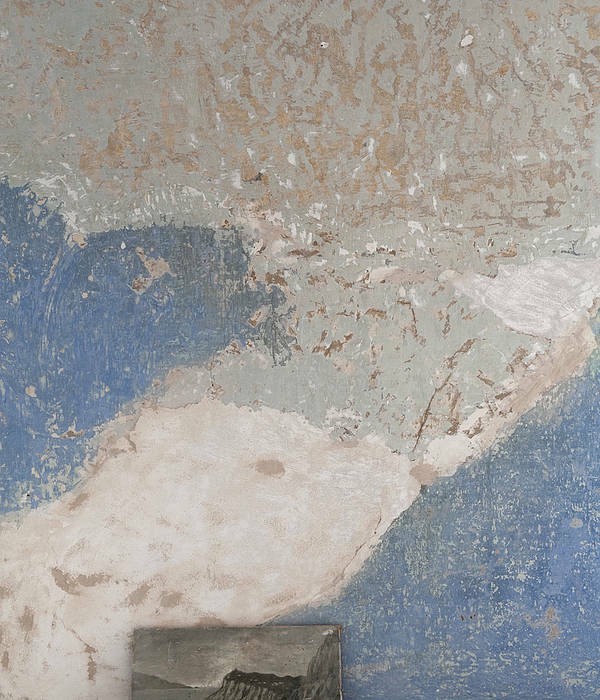 Just three of the reasons why those in the know are falling over backwards to book one of the two rooms at Caprisuite: a miniature maison de charme hidden amidst the lanes of the historic center of Anacapri. 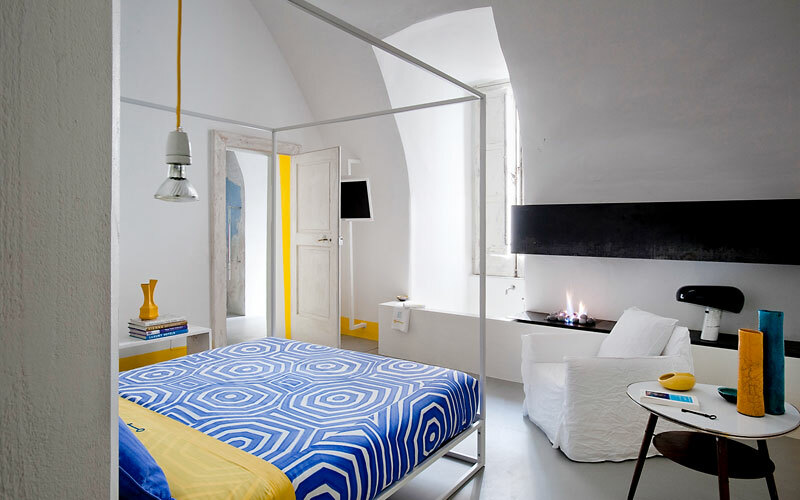 Dating back to the 17th century, the loggia, court yard, sitting room and bedrooms of this hip little hideaway were once part of the convent of the Church of San Michele, one of Capri's most beautiful houses of worship. 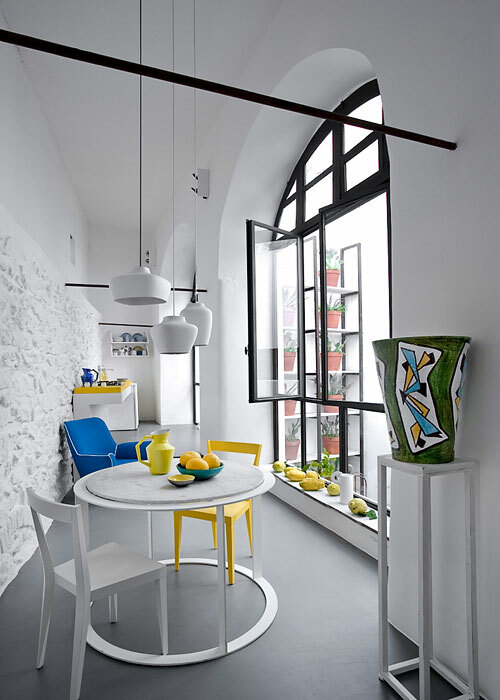 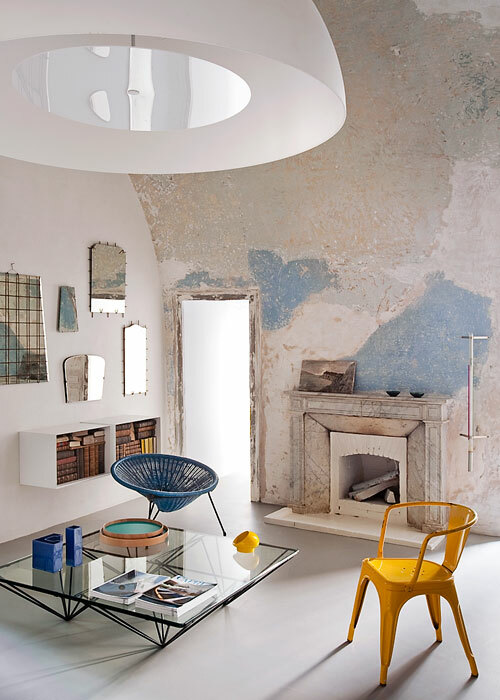 Today, the centuries old walls are hung with mesh caged mirrors and photographer Luciano Romano's gigantic images; whilst furniture by designer Paolo Piva and iron sculptor Antonino Sciortino take center stage in the sitting room. 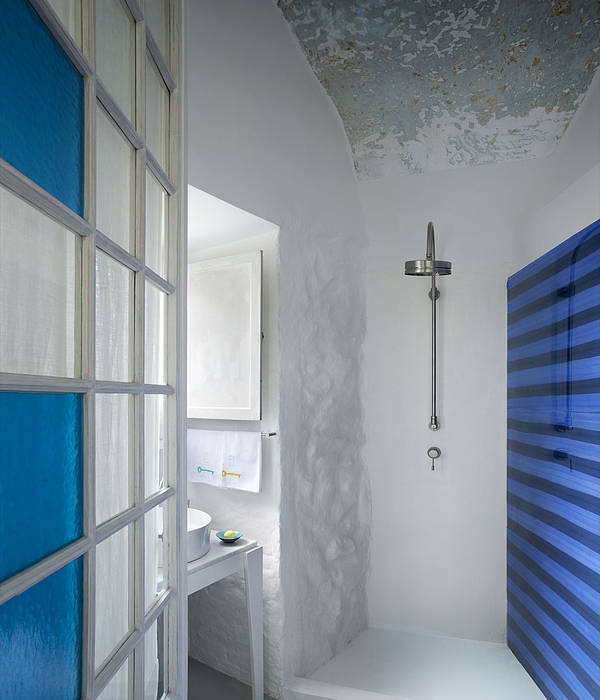 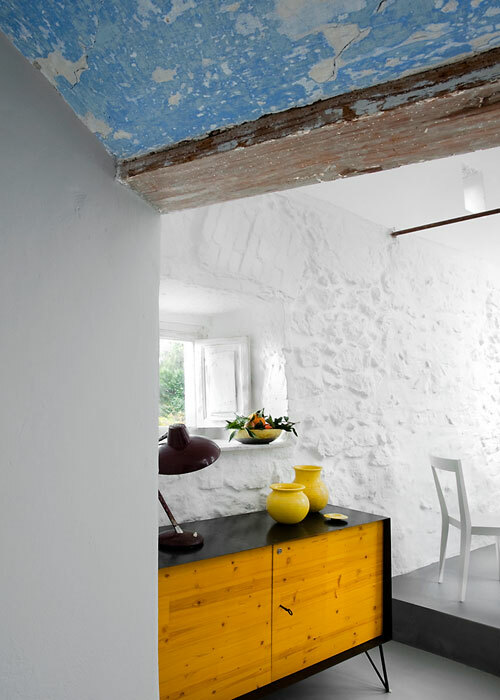 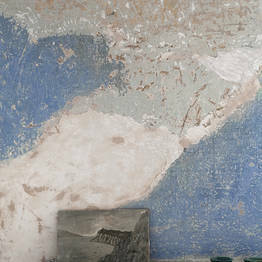 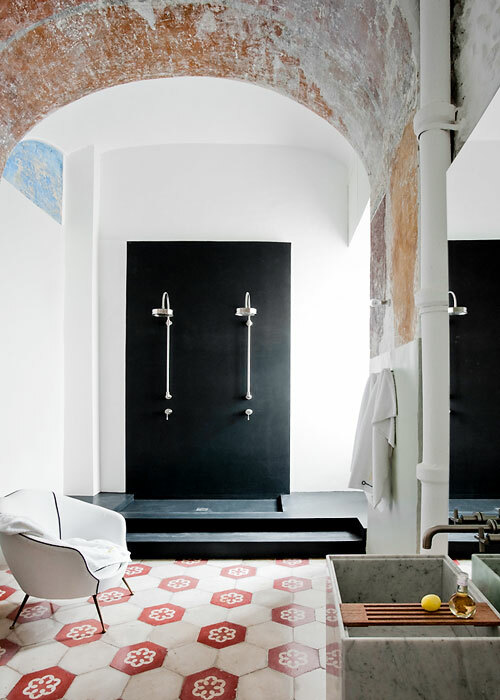 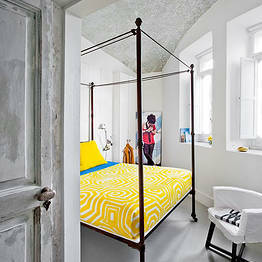 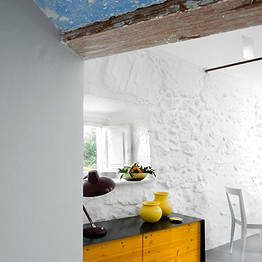 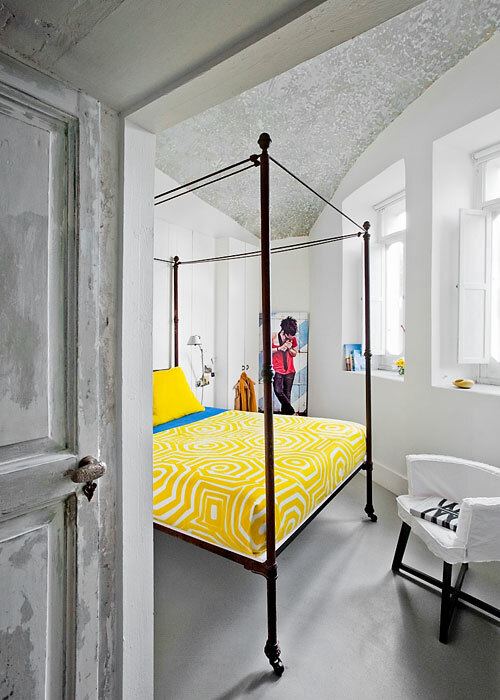 The bold juxtaposition of old and new continues in the guest house's two suites, where massif stone walls and 19th century beds combine with free standing anthracite resin showers and brightly colored linen by textile designer Livio De Simone, to create the coolest of contemporary living environments. 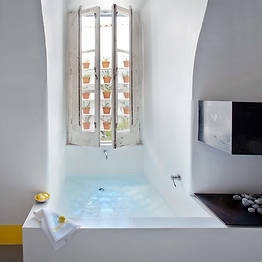 In the superior suite, a plunge pool offers moments of blissful relaxation after a day by the sea. 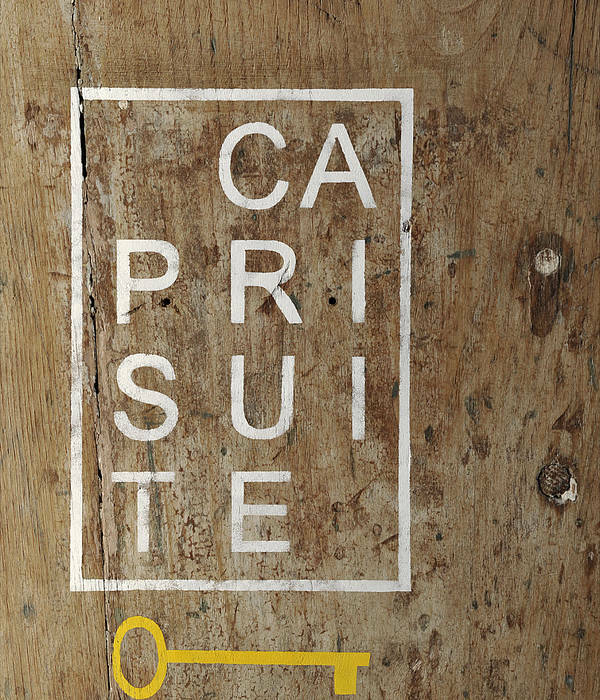 At Caprisuite early birds are not the only ones to catch the proverbial worm, indeed, in this luxury guesthouse, freshly baked breakfast brioche and fragrant Italian coffee are available whatever time of the day guests choose to rise. 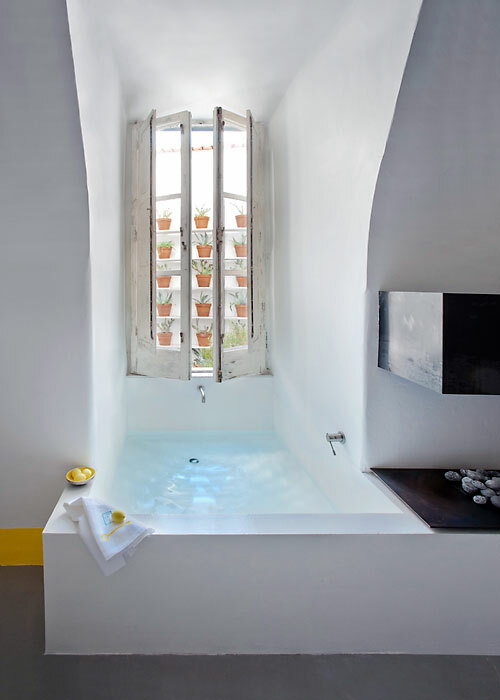 Those keen to savor the island's fabulous fish cuisine, can either head to one of the nearby restaurants or hire a personal chef to whip them up an unforgettable Mediterranean feast, served in Caprisuite's attractive little courtyard. 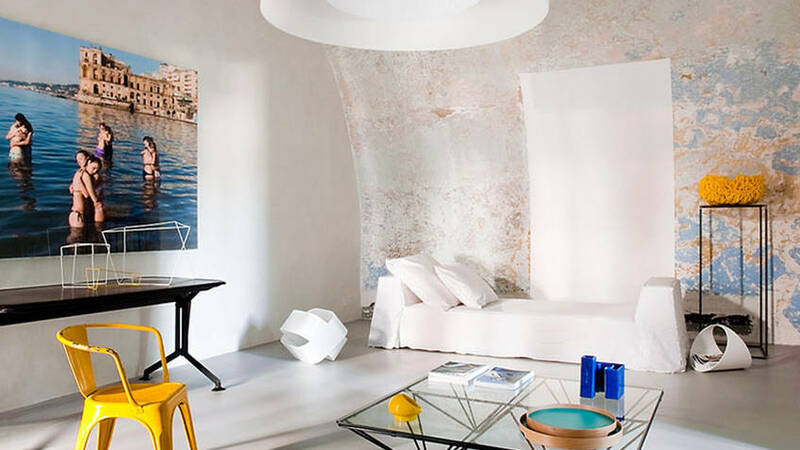 An intimate island bolt hole, custom-designed for style-conscious holidaymakers keen to experience the peace and quiet of Anacapri, Caprisuite lies within easy walking distance of all of the town's major tourist attractions, including the beaches of Faro and Gradola. 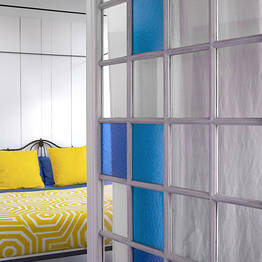 Those unable to resist the pull of Capri's Piazzetta, can reach the celebrity-packed square in just a few minutes, by bus or aboard one of the island's legendary open top taxis.